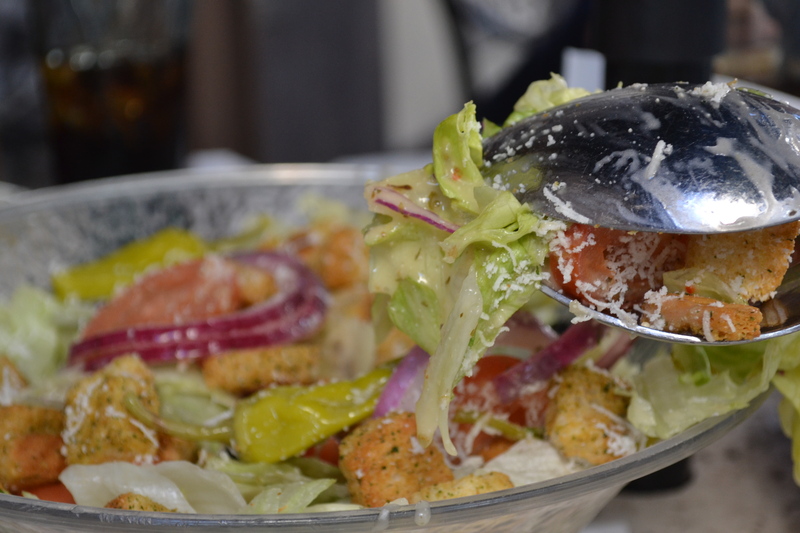 Pranzo is the Italian word for lunch, and Italians take lunch from 1:00 to 3:00 every day. Today I went to the OG with some friends, and it was a beautiful day so we decided to have pranzo outside. 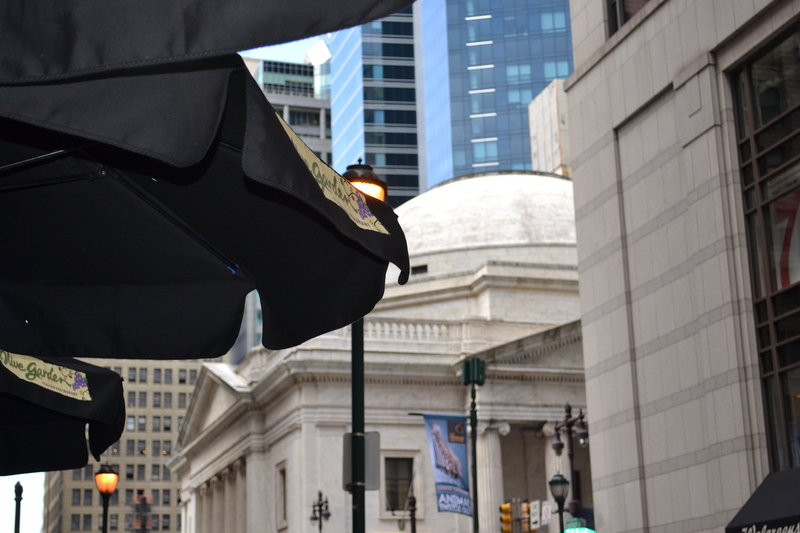 Between the quaint accordion street music and the highly multilingual crowd around us, it was hard to remember that we were in Philadelphia at all. It really felt like we were dining on a small Italian cobblestone sidewalk in Rome! Look at that, a great view of the Roman Coliseum! Fresh Italian breadsticks! As always, everyone at the OG made us feel like family as soon as we walked in. We were well on our way to having a wonderful, relaxed pranzo when unfortunately, disaster struck. 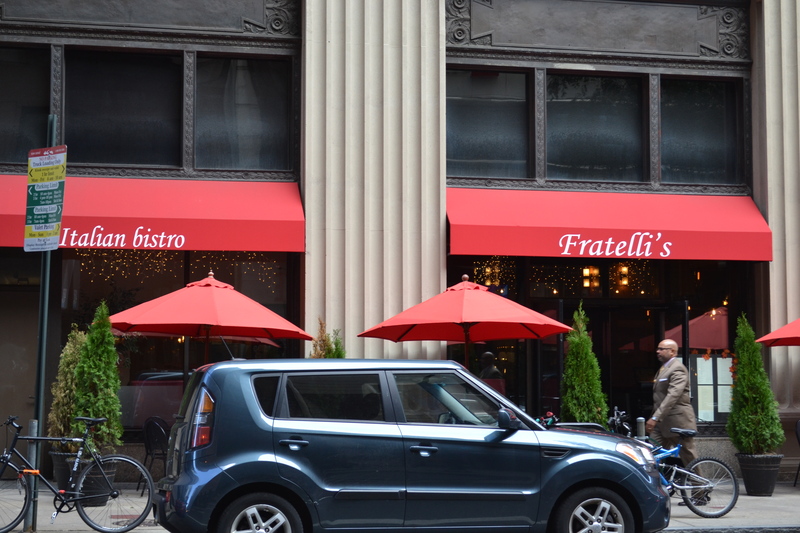 Across the street from the OG is their arch-nemesis, Fratelli’s. 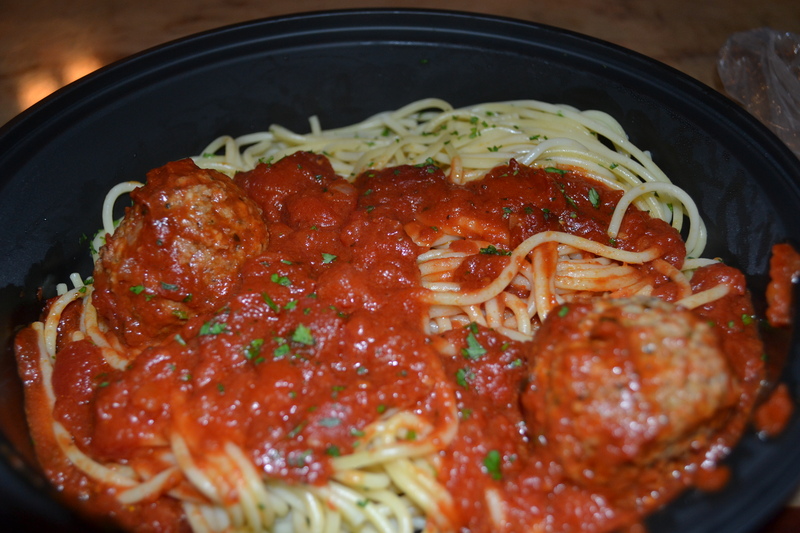 Fratelli was a stepbrother of Niccolo Rossi, the founder of the original Olive Garden. Fratelli was furious when his family decided to take Niccolo in, and his fury aged into an immutable rage when he realized that Niccolo was by far the superior chef. As Niccolo continued to win accolades for his breadsticks and his pasta sauces, Fratelli fumed as his family forced him to attend Niccolo’s award ceremonies as Niccolo won James Beard Award after James Beard Award for his authentic Italian cuisine. This, of course, greatly delayed the timing of our pranzo. The OG did everything possible to salvage our lunch, but unfortunately two of my dining companions had to return to work, and had to get their food to go. They comped our lunch, gave us fresh salads and breadsticks, and apologized profusely in Italian for something that really wasn’t their fault at all. We still had a wonderful time at the OG, as always. Adam got his usual, the zuppa toscana. 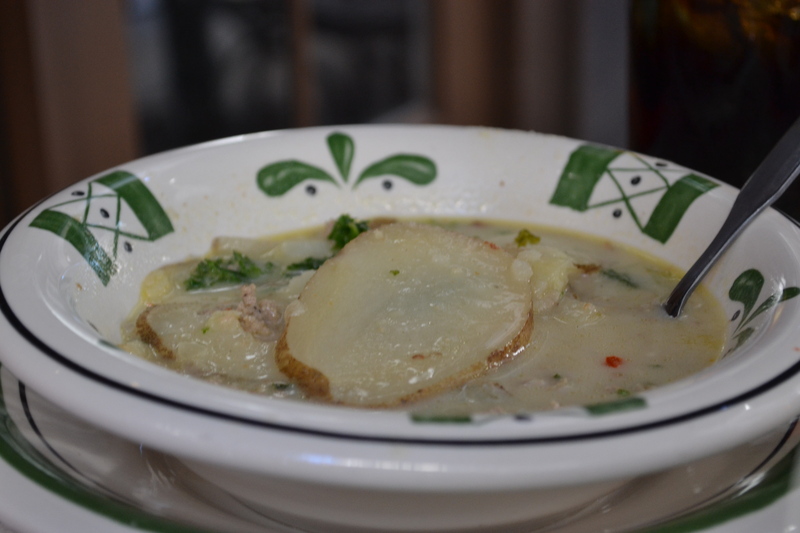 That’s Italian for “hearty cream-based soup with jumbo slices of potatoes.” Spicy, starchy, and hits the spot every time. 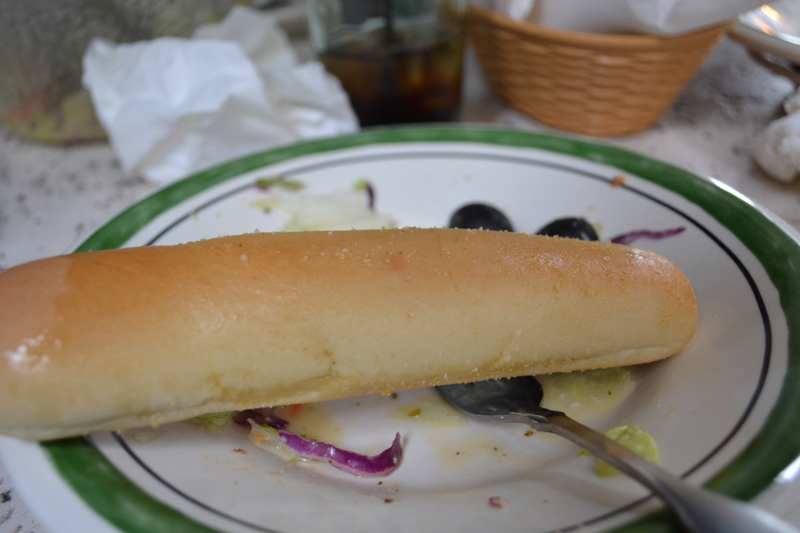 Thanks to Fratelli, our lunch turned into a lengthier, more authentic pranzo, which meant that I got to sample a breadstick that had been sitting at our table for almost an hour. 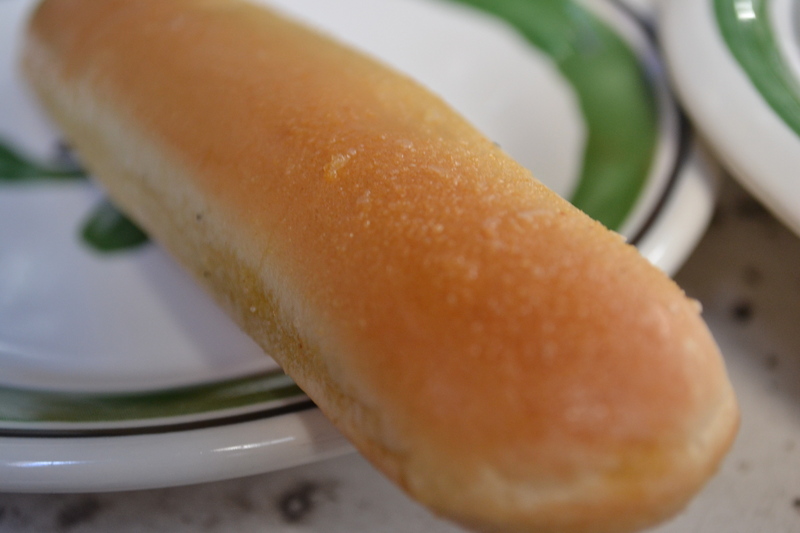 Now I know what you’re thinking – the OG breadsticks are fantastic when they first come out, but seven minutes later, they’re much worse off. Surely after an hour, they must be terrible! Your reasoning would be sound, but you would also be wrong! It turns out that the breadsticks are worse off 7-10 minutes after delivery, but let them sit for an hour, and they mature like fine wine into delicious biscotti! It’s as if the breadsticks find a second wind somewhere in between 10-60 minutes. I technically got my spaghetti and meatballs to go, but then Adam and I realized that we had nowhere to be for an hour or two, so we decided to move inside to the bar and finish our meal there. I would have had a beer with Adam, but I have to work tonight. It was his first Peroni, which is an Italian pilsner. He seemed pretty happy with it. 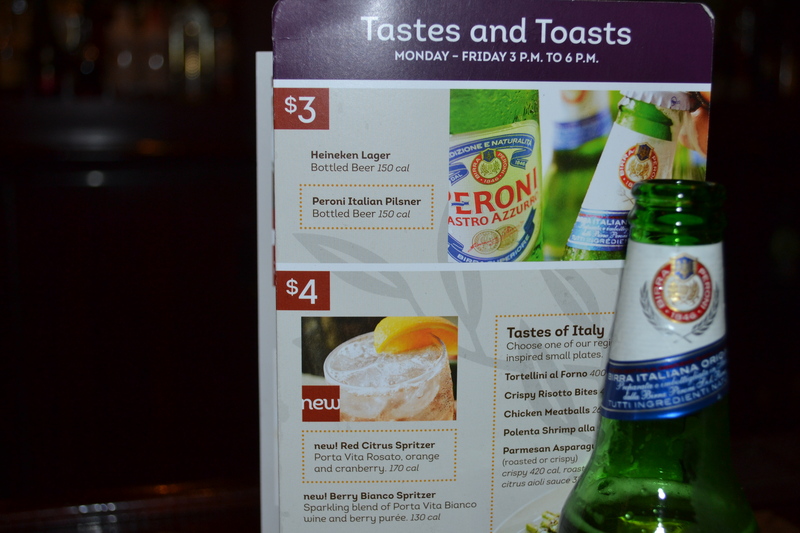 If you didn’t know, the OG has a very poorly advertised happy hour every day from 3-6 pm featuring $3 Heineken’s and Peroni’s. Maybe because it’s such an amazing happy hour, they’re trying to keep it a secret?